No bun, no problem!! 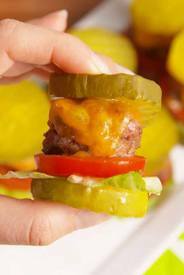 These amazing and tasty sliders from Delish use pickles instead of a bun!! Trust me, you need these in your life! !